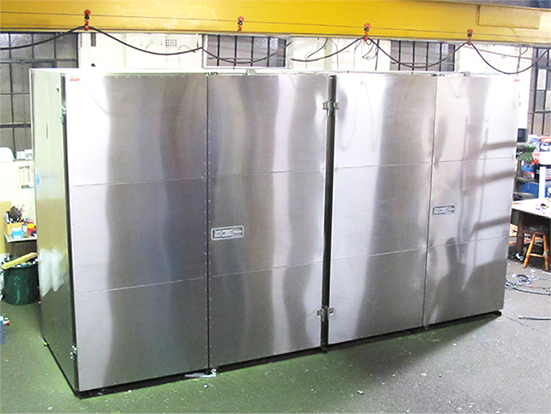 To design and construct 25,000 litre temperature stability chamber with vertical air flow and steam injection. The chamber needed fail sage overtemperature detection with the ability to continue operation been if some of the heaters or fans fail during the test period. 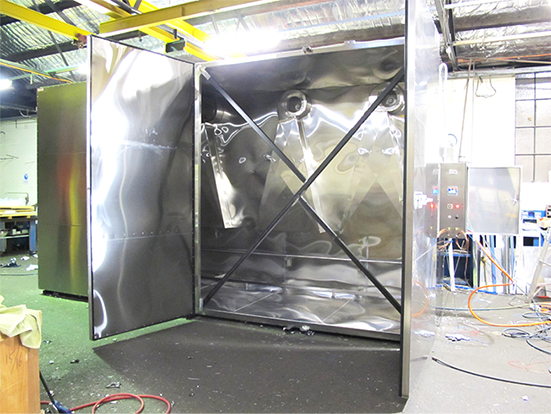 The size and ability to maintain uniform temperature whilst being loaded and unloaded with 16 tonnes of product.